While in Chicago, spending an afternoon at Wrigley Field is a must. The combination of freshly cut grass, the smell of hot dogs and the metallic thud of ball on bat create an atmosphere unique to the American pastime. 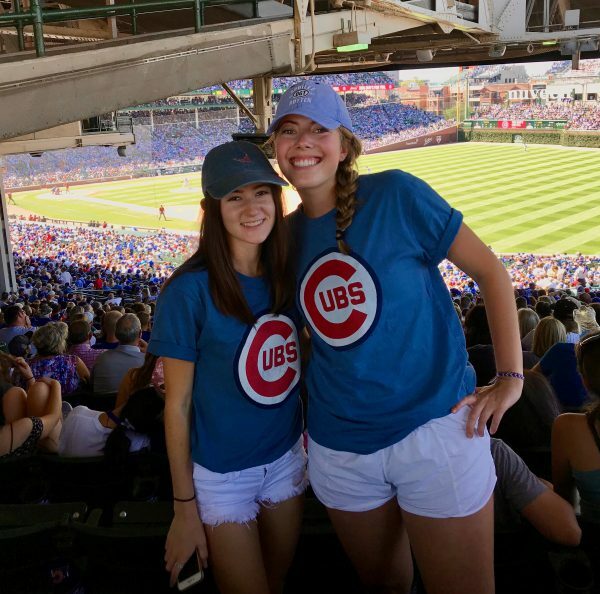 Luckily for cherubs, the fourth week’s field trip was a Chicago Cubs game against the Arizona Diamondbacks. 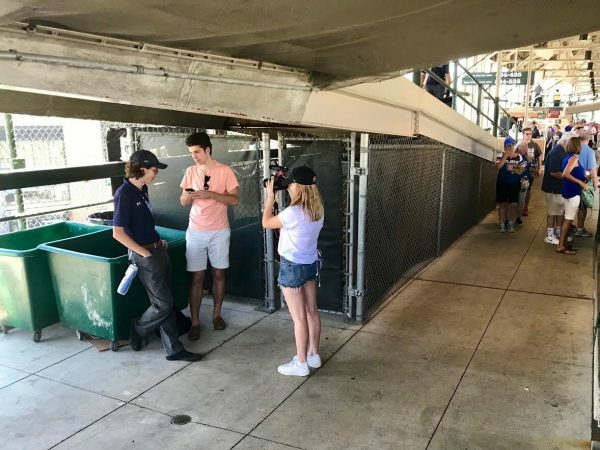 But as classic as baseball is, if you’re an international student who is unfamiliar with the sport, an American who (shockingly) hasn’t gone to a game before or just someone who doesn’t like baseball, the event can get a little long. Hungry? The stadium has an array of classic American foods: hot dogs, burgers, pizza and pretzels. And of course, peanuts and Cracker Jack. Cherub Dylan Carlson-Sirvent, a Mexican native living in Ohio, couldn’t track down the man with the snow cones, but he did snag a saltier alternative. You’ll probably feel pretty gross after eating a dangerously large serving of corn chips doused in “cheese” sauce. 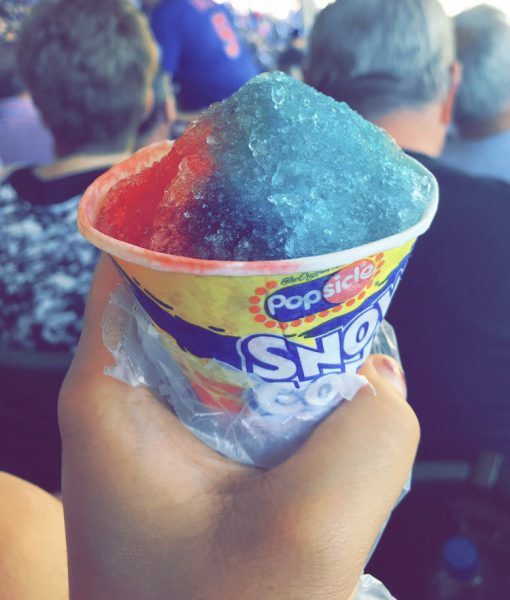 Luckily, a stroll along Wrigley Field’s lower level should cure any food comas. Kaitlin Musante of Los Angeles took a walk around the ballpark with some friends. “There were a lot of excited fans, which is always nice to see because of all the spirit there was and how passionate they were,” she said. Claire Mason of Foster City, California, got a prime view of the game sans extra charge while walking around. 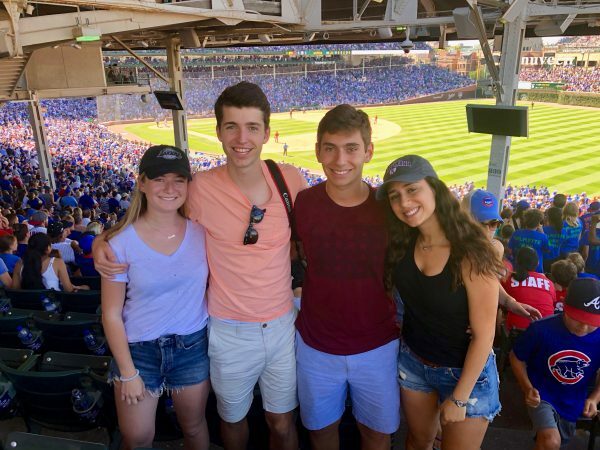 “A couple friends and I were taking a picture and the play started and people started yelling at us, which was probably fair because we were standing in front of the field,” she said. This was a break in what Mason called “a lot of sitting in place,” but she enjoyed the game nonetheless. If you haven’t spent all your money on the $6 water, check out the many merchandise shops and stands. They offer Cubs hats, jerseys, T-shirts and other swag. You can go all-out with the iconic blue-and-red “C” cap or show subtle support with an ambiguous bear cub logo hat. Either way, everyone can find a souvenir. ”Both of my parents always get a baseball cap, so I wanted to get one too,” said Megan Forrester of Phoenix. When the game “got a little boring,” Forrester purchased a bear cub hat instead of the other merchandise. “I like how it’s minimalist, but you still know it’s the Cubs,” she said. If all else fails, take a moment to enjoy the scene. Even though the game may bore you, you are, after all, surrounded by your cherubs. For Quan Pham of Hanoi, Vietnam, that meant asking fellow cherubs what a strike is, or why each inning is divided into a top and bottom. Pham’s favorite part was singing “Take Me Out to the Ballgame” with the rest of the crowd. 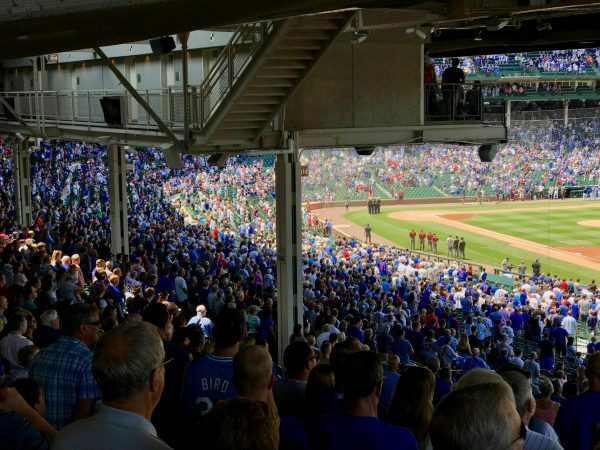 His second chance at a sing-along, this time to “Go Cubs Go,” was lost when he decided to leave early.